Esoteric can advise and support government and corporate organisation in the procurement of appropriate TSCM equipment that will support their countermeasures strategy. We’ll take time to understand your requirements and suggest an appropriate range of equipment that will suit your needs, your skills level and your budget. We work with a range of international TSCM equipment manufactures. We can then provide TSCM equipment and operational training on the equipment proposed. 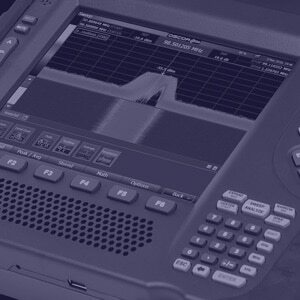 TSCM Lite is a collection of devices developed to help operators uncover hidden eavesdropping devices by alerting to their egress methods upon a search. TSCM Lite is intended for those clients where there exists a requirement for a relatively simple set of kit to allow a quick, first look at vulnerable areas with the intention that if something was seen or found, then more sophisticated equipment & expertise could be brought in. Traditional Technical Surveillance Countermeasures equipment is expensive and requires operation by experienced, technical personnel. Now you can supplement regular, professional TSCM searches with your own in-house capability with this collection of easier to use equipment. 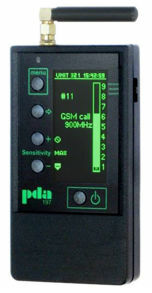 Developed following a direct request from government to support their specialist TSCM training, TSCM Lite can be used as portable “sweeping” devices for searching rooms prior to meetings or as part of a permanent monitoring capability to protect against hostile devices being brought into a room following a professional TSCM sweep. For price information, please contact us here. The proliferation of mobile phone usage can have serious implications for many organisations as they strive to prevent sensitive information leaking from their organisation. And there are of course some environments where mobile phones are simply not permitted or are restricted such as prisons, hospitals, call centres, school/university examination rooms and other restricted areas. After all, there is no more effective a bugging device than a mobile phone! To counter the illicit use of mobile phones, we offer a range of mobile phone detectors and blockers suitable for all establishments and applications that need to detect and/or block cell phone radiation. 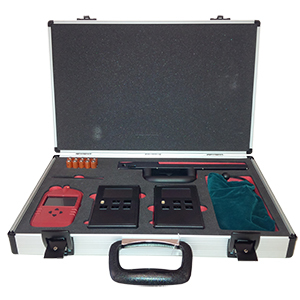 The CPD197 Mobile Phone Detector can detect 2G (GSM900 & GSM1800) and 3G (UMTS900& UMTS 2100) plus 4G (LTE800 and LTE2600) mobile phones. For situations where greater accuracy is required and / or specific monitoring is required in areas containing multiple phones, a specially designed directional antenna system can be used with the 197. The CPD197 keeps a record of all the alarms and compiles totals of each type of technology detected. The ECM608-G918 mobile phone blocker* is a small portable unit that is designed to secure areas of up to a 1002 m direction. 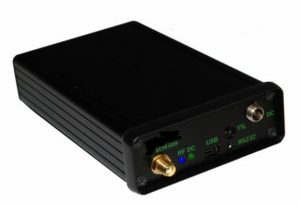 ECM608’s radiating power can be adapted to local propagation conditions and type of antenna used for its application. Our In-Place Monitoring System (IPMS) is designed to protect your confidential meetings from attack from illicit eavesdropping devices such as GSM bugs and mobile phones. Sitting passively and discreetly in the designated area, the IPMS continuously scans the area for signals from devices such as GSM bugs and mobile phones and then alerts you if something is detected. Click here for more information on IPMS.